Two weeks ago, San Leon Energy announced that its exploratory drilling in the Tarfaya Block had revealed gas shows. 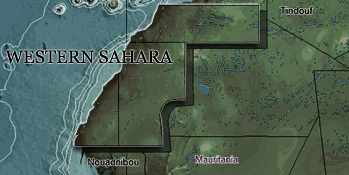 San Leon had been drilling in the larger part of the border-overlapping Tarfaya Block, which is is located in Western Sahara - a UK size territory which Morocco invaded 40 years ago this November. The company intends to renew its exploration license in order to undertake further seismic surveying on the site. "We completely reject the activities of those companies which are plundering our resources on a daily basis. As you can see, the people live in exile in brick-houses and tents. So we strongly, condemn the illegal exploitation of our resources", said a young Saharawi woman taking part in the protest. Her testimony can be viewed in the videos below. 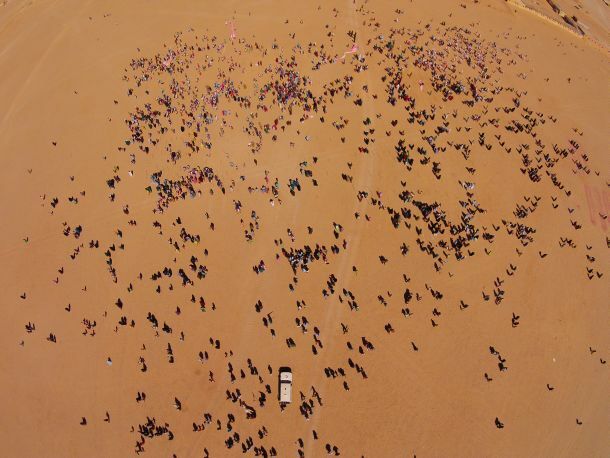 Yesterday, WSRW sent San Leon another letter, enquiring the company about their recently suspended test hole drilling just north of El Aaiun, Western Sahara's capital city. 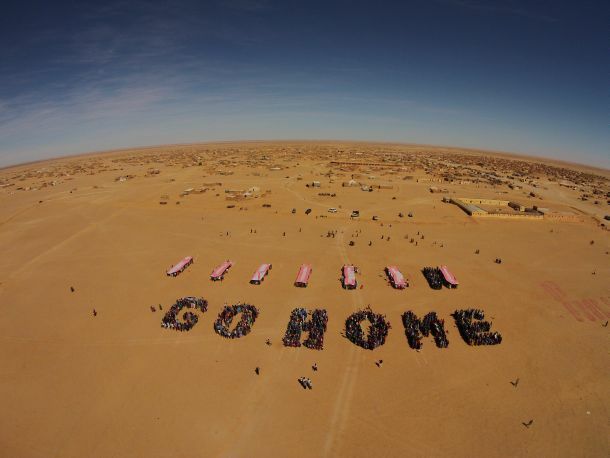 To date, Western Sahara remains the only Non-Self Governing Territory in the world without a UN-appointed adminstering power. 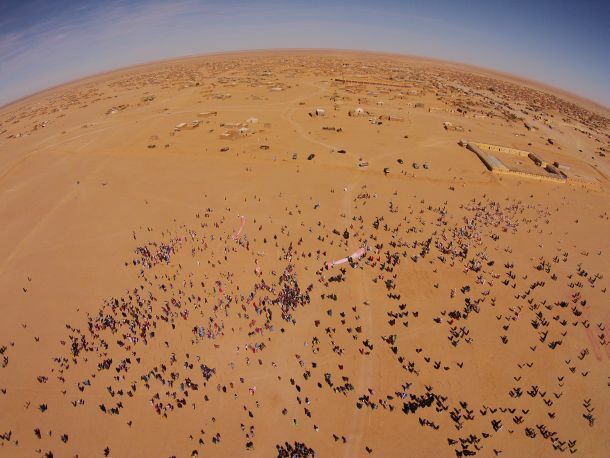 Following the International Court of Justice's Opinion of 1975, delivered 40 years ago tomorrow, the sovereign rights to the territory and its resources remain with its people; the Saharawi people. Their right to self-determination has since been acknowledged in over 100 UN Resolutions. 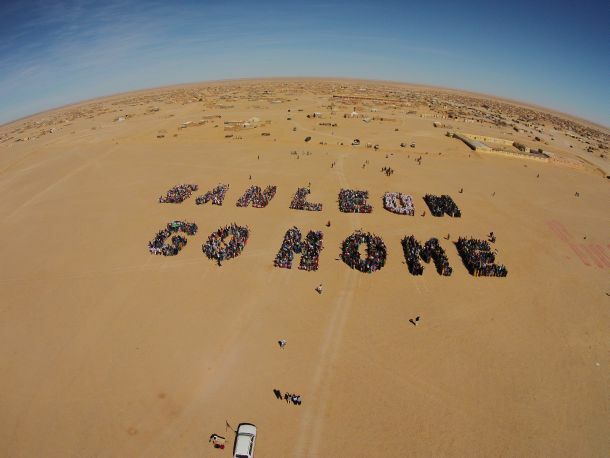 Ignoring the Saharawi people's rights completely, San Leon chose to strike a deal with the Moroccan government to look for oil in the occupied territory. 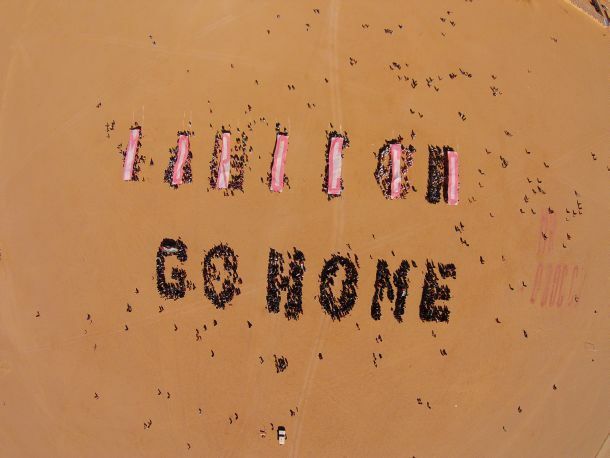 This has caused frustration and anger with the Saharawis, who - as a direct result of the ongoing occupation - are forced to live in refugee camps in the Algerian desert, or under the brutal rule of the Moroccan authorities in their occupied homeland. 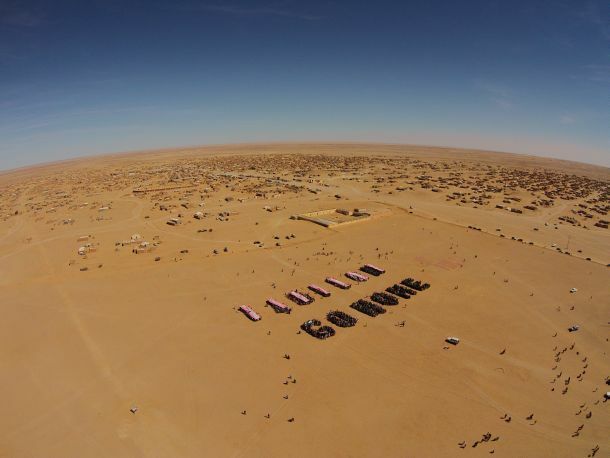 The San Leon drilling is the first onshore drilling operation in the history of Western Sahara under Moroccan occupation. It is expected that a possible oil find will only entrench Morocco's already uncompromising position in the UN led peace talks, making the chances of a peaceful resolution to this long-lingering conflict ever more slim. Click on the photos for high resolution versions. All videos and photos are free of use. No credit needed.